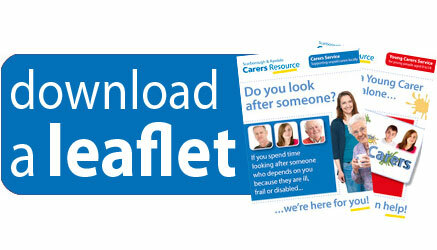 Focus Carer is the house newsletter or Carers Resource. 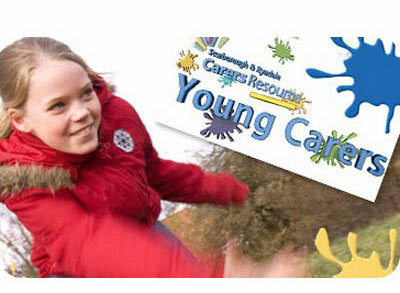 This latest 14 page edition will bring you up-to-date about projects and work you perhaps have heard about - our Adult Service, Young Adult Carers and the Young Carers Service - and also introduce you to some new innovative services such as Home from Hospital, the Wellbeing and Prevention Service and Action Towards Inclusion. We also feature a survey which we hope users of our service will complete and return to us, together with the AGM reply page. Download a pdf copy by clicking on the link below! This Autumn 2017 edition of Focus Carer features 12 pages of news and information. 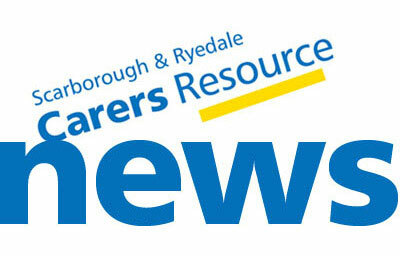 Updates from all Carers Resource projects; news of our upcoming AGM and 'In our own words' presentation (which features words and video from Carers, Young Carers and Young Adult Carers. We also feature a survey which we hope users of our service will complete and return to us, together with the AGM reply page. 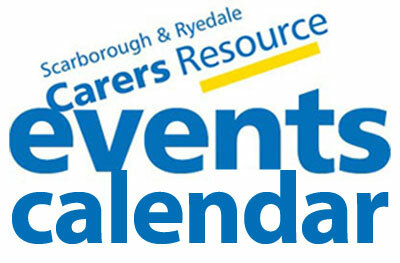 Our Summer Newsletter contains all the latest news from our projects and a full programme of events being staged by Carers Resource for Carers Week - from the 10th to the 17th June. Also you'll find all the details of our Wild West themed Family Day, at Snainton Village Hall, Saturday 17th June. This will be a lot of fun, so round up your family posse and giddyup down! 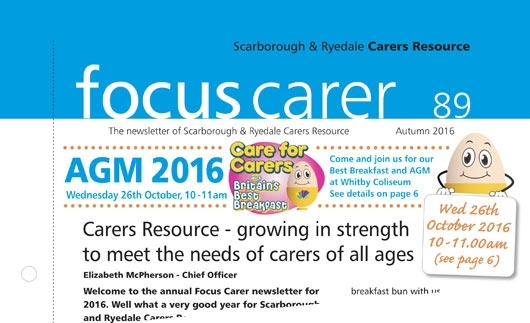 Take a look at our latest edition of Focus Carer - download it here - 10 pages of news and information bringing you up-to-date on the work of Carers Resource, its services (some exciting new projects) and news of our 'Britain's Best Breakfast' AGM which will be on Wednesday 26th October at Whitby Coliseum and is part of the Carers Trust's 'Best Breakfast initiative. Carers Survey - you'll find our Annual Carers Survey on pages 7 and 8 and we hope you'll find time to complete this and return it to us using our FREEPOST address. The information and opinions you provide us with makes a valuable contribution to the development of our services. Our Autumn edition of Focus Carer is now ready for download as a pdf [here], or call our office on 01723 850155 if you would like a printed edition. 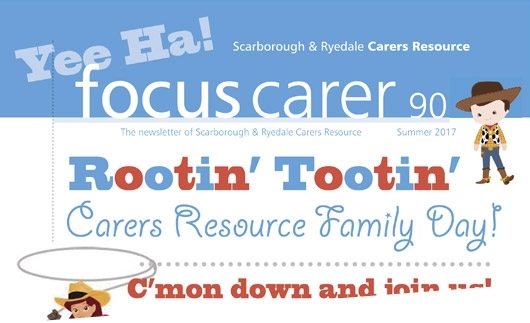 Focus Carer is the newsletter of Carers Resource and carries updates of news and coming events of interest to Carers in the Scarborough and Ryedale area. 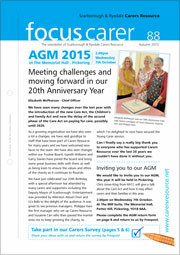 In this edition - October AGM information, our 20th Anniversary Celebration report and photos, the 2015 Carers Resource Annual Survey and the latest news from all our projects. If you would like to receive copies of Focus Carer when they are published, in print or pdf versions, then add your name to our mailing list, either by calling the office on 01723 850155, or by completing the form that you will find in this edition of Focus Carer. 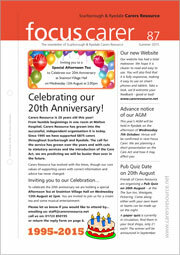 Our Summer edition of Focus Carer is now ready for download as a pdf [here], or call our office on 01723 850155 if you would like a printed edition. 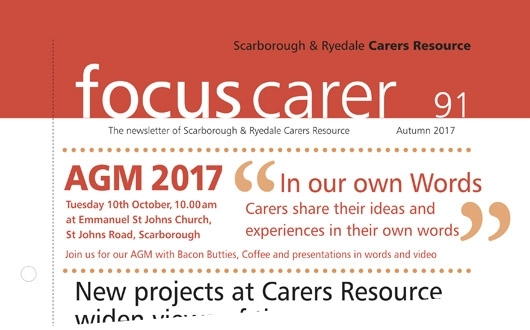 Focus Carer is the newsletter of Carers Resource and carries updates of news and coming events of interest to Carers in the Scarborough and Ryedale area. This year we're celebrating our 20th Anniversary as an organisation and Focus Carer takes a look at the wide range of services we offer to carers in 2015.